If you're unsure whether something is taxable, make sure you check online before submitting your return. Can I get a deduction? Almost certainly, yes. 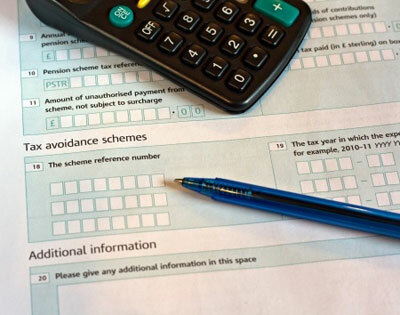 When filling out your tax form, take a look at the expenses and capital allowances sections. Capital allowances relate to expenditure on equipment that improves or expands your business/service. For example, upgraded machinery or shop fittings. You only pay tax on your income after deductions and the 'Personal Allowance' (tax-free earnings of £8,105 for 2012/13) are subtracted. So, if you earned £25,000 in between April 2012 and April 2013, and had deductions of £5,000, you'd pay £2,379 in tax. You arrive at this figure by deducting £5,000 plus your personal allowance of £8,105 from your total earnings, and taxing the remaining £11,895 at 20%. 12 months: Adds another £300 or 5% tax owed. If your case is judged as 'serious', it can rise to 200% of tax owed. If you're looking for ways to simplify your tax returns, check out Money Dashboard, the free service that automatically tracks and itemises spending across all your current accounts, savings accounts and credit cards.